If you’re looking to purchase a new mattress, you might be overwhelmed with the amount of mattress companies on the market. If you’re someone who hasn’t shopped for a mattress in years, you probably don’t realize how much the industry has developed. New companies have entered the market to take advantage of cheaper materials and manufacturing capabilities. It has proven wildly successful for many small business owners. Many online business owners have been able to adopt a business in model in which they cut costs to reduce the price of new mattresses. Not only do they use cheaper materials, but they also streamline the process to ensure they don’t have to worry about unwanted spending. While this sounds good, sometimes it can have negative consequences – the materials might not be as good, and the customer service department might be worse. For this reason, many consumers still prefer to work with companies that value certain components of their business. If you want to work with a large mattress manufacturer, you might want to consider Diamond Mattress – they’re one of the oldest mattress companies on the planet. They first started their business in the 1940s, and have steadily grown into a giant within the industry. They produce a wide variety of mattresses and have an extensive customer service team. In this review, we’re going to take a look at Diamond Mattress to see if they’re right mattress for you. We’re going to look specifically at the Dream Fantasy mattress – it’s one of their most affordable and popular mattress choices. If you’ve considered purchasing one of these mattresses, it’s important to consider everything mentioned in this review. Should I Buy the Diamond Mattress? 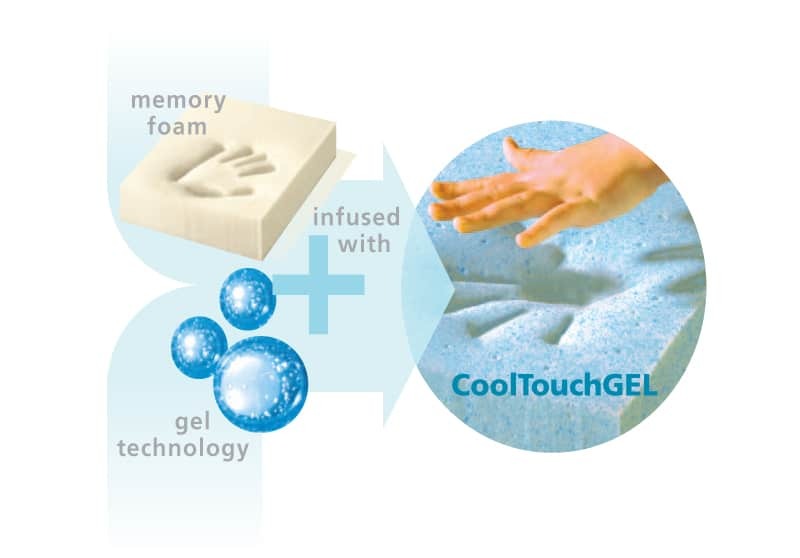 Mattresses are constructed using unique blends of materials – each material lends a different benefit to the mattress design. If you want to fully understand a mattress, you need to understand how it is constructed. In this section of our review, we’re going to explore the way that Diamond Mattress constructs the Dream Fantasy mattress. Check it out below! The top layer of this mattress is made from a combination of high-density eco-flex plant-based foam and visco memory foam, it provides comfort and contour for the top layer of the mattress. The thickness of this layer will depend on the variation that you purchase. The middle layer of the mattress is made from encased individually-wrapped coils – these are custom made by the manufacturer. The provide support and ensure that there is minimal motion transfer. The bottom layer of the mattress provides a base for the rest of the mattress. This is the primary support layer that ensures the mattress will not collapse when someone lies on it. This layer is made from an orthopedic eco-flex plant-based layer that is highly dense. It has plenty of support capability for the rest of the mattress. If you’re looking to purchase a mattress it’s always nice to know it has a decent cover to protect it from damage and add edge support. This mattress has a Rayon 4-Way Stretch Knit Cover that is thin enough to allow breathability, but durable enough to ensure your mattress avoids damage. It’s a great addition to the mattress construction. After all this talk about mattress construction, it’s time to discuss how the mattress feels – after all, that’s the most important part. This mattress is extremely comfortable, but the level of comfort and support will depend on the variation that you purchase. 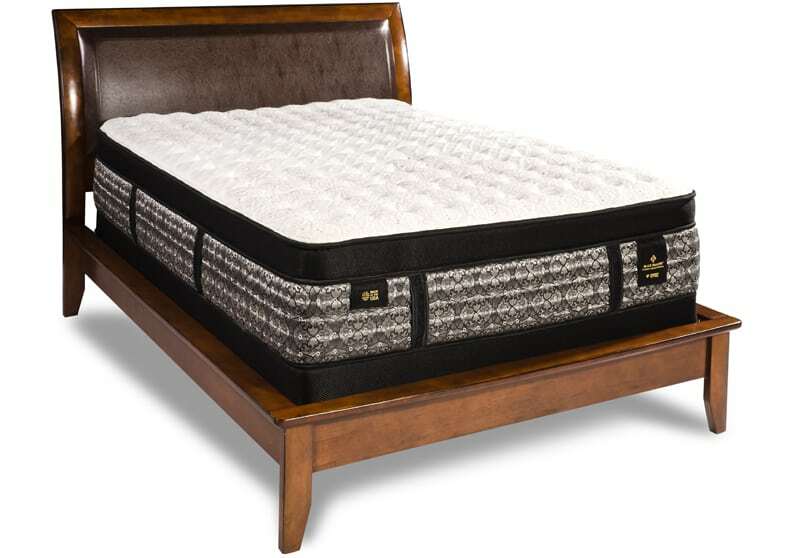 There are six different variations available for this particular mattress: the Celestial Box Pillow Top, Arabella Pillow Top, Regal Extra Firm, Grace Euro Top, Venus Tight Top, Apollo Tight Top. Each has a different support and comfort level. In terms of firmness, these mattresses range from 2 to 10 – meaning they encompass almost every level of support available. This makes the Dream Fantasy a great option for people of any weight or support level. You won’t find a mattress with this much variation almost anywhere else on the market. Motion transfer is limited because of the coil system. This same coil system also ensures that you won’t have to worry about too much heat retention. The coils mean there is space for the mattress to breathe! As mentioned previously, Diamond Mattress has been around for almost a century. 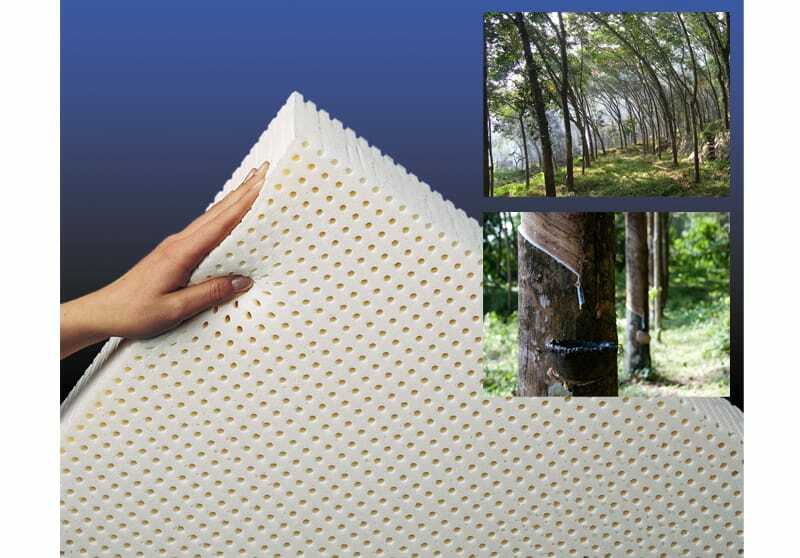 The company is well versed in creating sustainable mattresses for the future. While many changes have occurred in the company throughout the years, each new mattress design tends to stay the same. If Diamond Mattress wants to update their offerings, they tend to bring out new mattresses, rather than update old ones. There is no doubt that Diamond Mattress has adapted well over the years to ensure they stay up-to-date with current trends, new technology, and more advanced materials. This is the reason they’ve been so successful at growing as a mattress company. Feel free to check back here for further developments. It’s easy to get carried away with the comfort and price of mattress. Those of us who prioritize the way a mattress feels understand how important it is for a mattress to be perfect. This being said, not taking a look at other components of a mattress can end up damaging us in the long-term. This is especially true if we’re purchasing a mattress from a producer that we’ve never worked with before. The mattress industry is increasingly competitive, so it’s easier than ever to find a decent mattress company to work with. Each mattress firm has aimed to provide as many additional features and benefits as possible. If you want to work with a mattress company that delivers premiere service and benefits, it’s important to understand what they’re offering. Many of these features are crucial in ensuring you have the best experience possible. You can find many mattress companies that add on features worth hundreds of dollars. This section is devoted to helping you get a grasp on all the extra information you need to know about the Diamond Mattress offering. If you’re someone who values making informed decisions when you spend money, this is just as important as any other section in our review. Check it out below! You don’t want to purchase a mattress without a warranty. If you’re going to invest hundreds of dollars in a new mattress, it’s important that you know it can be replaced if any issues arise. Many mattress companies offer warranties that allow you to have the mattress repaired or replaced if something goes wrong. Most warranties can be between a few years and ten years, depending on the warranty the mattress company that you’re working with. With Diamond Mattress, you get a 20-year limited warranty – much longer than the industry standard. Certain things, such as body impressions, are not covered by this warranty, so you’ll need to check their website to get the full rundown of what is and isn’t included. In addition, since Diamond Mattress has been around for close to a century, you don’t have to worry about this company disappearing in the next few years – their warranty is as solid as they come! Another benefit you are afforded when you purchase a Diamond Mattress is an assurance that eco-friendly products are used in the production process. Many traditional mattress companies use harmful chemicals to manufacture their mattresses. This can result in a number of issues – you might be exposed to harmful chemicals when you sleep on the mattress. In addition, you’re hurting the environment if you’re letting these types of chemicals be used for products that you purchase. Diamond Mattress is certified and recognized by several eco-friendly organizations – they’re a trusted partner if you’re trying to reduce your carbon footprint. Many companies now offer their customers trial periods to help consumers feel better about purchasing their mattresses. With these trial periods, you can typically return a mattress within a few month period if you’re not happy with the mattress. Unfortunately, the return policy at Diamond Mattress is a bit confusing. They don’t offer any clear information on how or why you can return their mattresses. You might want to seek clarification with them prior to making any decisions about purchasing one of their mattresses. With many new mattress providers, you don’t get the same level of customer support as you do with Diamond Mattress. Newer entrants to the market focus on streamlining costs as much as possible – and while this saves you money, it can also mean you end up without a proper customer support team. Fortunately, Diamond Mattress has a dedicated customer support team that can help you with any issues that you might have. If you’re someone who wants to be able to easily communicate with companies you work with, this is a great benefit. You can call or email their customer support team when you need assistance. Again, unlike many modern mattress producers, Diamond Mattress has showrooms that you can use to check out their different mattresses. They also have authorized retailers who display and sell their mattresses. This means that you can go and check out their mattresses before you make any decisions. Because Diamond Mattress is a large company, they actually have showrooms or retailers spread throughout the country. You can find showrooms in most major cities in America! Just check out their locations online. Another benefit that hasn’t been discussed is the fact that Diamond Mattress has plenty of other options. If you don’t like the mattress reviewed in this article, chances are Diamond Mattress will have another type of mattress that you’ll enjoy. They have mattresses for every type of sleeper – you can find various support levels and comfort levels depending on what you’re looking for. You can find their full range on their website or through an authorized dealer. The first thing to consider is whether or not you can afford the mattress in the first place. The Diamond Mattress line is extremely expensive in some circumstances – while the Dream Fantasy is the cheapest option, it definitely isn’t a cheap mattress. This being said, it’s one of the best mattresses on the market – it comes from a trustable and reliable company with plenty of experience making mattresses. The mattress is also one of the most customizable mattresses available. With six different options to choose from, you won’t have to worry about finding one that suits you – there’s something for everyone with the Black Diamond Dream Fantasy mattress. In addition, the mattress also comes with plenty of added benefits – such as an extremely long warranty. You can also rely on a fully staffed customer support team for any issues that you might have. If you still think you’d like to consider other mattresses before making a decision, you should check out some of the other reviews that we have posted on our site. We have a collection of unbiased reviews, as well as additional information about mattresses and the surrounding industry!